Various discomforts caused by sinus infection can interrupt your daily activities and steal your peace. However, you can get back to normal in few days by using garlic as a treatment for sinus infection. Surprised! As per Drugs.com garlic contains potent antibacterial and anti-inflammatory properties which are helpful to get relief from sinus infection. Knowing the root cause of the problem helps us to better understand the solution, so let us know why sinuses get infected. Sinuses are small cavities present in our skull. Their main purpose is to generate mucus and warm up the inhaled air. However, when bacteria gains access into these cavities, it starts producing more amounts of mucus and walls of it get swollen to trap them. Thus the mucus gets clogged up and cavities get congested leading to pain and headache. 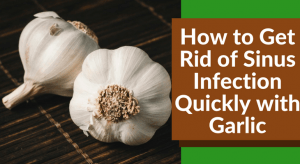 Now that you have understood the problem, let us share more information how effective garlic as a home remedy is in treating sinus infection. Garlic contains potent antibacterial, antiviral and antifungal properties which help to fight off the bacterial infection causing the trouble. Allicin and scordinin are the components responsible for these beneficial properties in garlic. It contains decongestant and expectorant properties which unclog the sinus cavities and provide relief from the pressure and congestion. Its flu busting components that include vitamin C, several enzymes, selenium, Sulphur and others boost up the immune system to fight against the infection causing bacteria. Its anti-inflammatory properties help to provide relief from the swelling and pain. How to Use Garlic to Get Rid of Sinus Infection? There is no specific data referring to right amount of garlic dosage to clear the sinus infection. However, we suggest 3 – 5 garlic cloves per day for not less than 10 days. Alternatively, below are few ways to use garlic for treating sinus infection. The steaming helps the benefits of garlic to reach the sinus cavities and provide relief from the infection and other discomforts. Boil enough amounts of water for taking steam. While boiling add 3 – 5 crushed garlic cloves into it. Simmer for few minutes and remove from the flame. Lean towards the hot water and cover with a towel or bedsheet. Make sure you are not too close the water to avoid burns and other discomforts. Inhale the steam deeply and exhale. Repeat inhale – exhale for few minutes. Remove the towel and relax. Continue doing this process at least twice in a day to get relief. Note: Taking garlic steam before going to bed ensures good sleep. Turmeric contains antiseptic and antibacterial properties which help us to provide relief from the discomforts caused by sinus infections. First of all, take saucepan or pot and place it on stove over low heat. Then pour 1 cup of water in it and allow it to boil over medium heat. Add 2 – 4 garlic cloves in this boiling water and boil it for another 2 – 3 minutes. Now add 1/2 tablespoon turmeric powder in it and stir it well. Turn off the heat and pour this in a cup. Have this soup or juice to treat sinus infection. Regular intake of this garlic – turmeric drink will definitely help you to get complete relief from sinus problem. This process not only helps to get relief from the sinus infection but also repairs the damaged mucus membranes in the sinus cavity. Into a saucepan, add 1 cup of tomato juice and bring it to boil for few minutes. Now, add 1 tablespoon minced garlic, 1 tablespoon lemon juice, 1/2 teaspoon hot sauce and a pinch of celery salt. Stir well and let it simmer for few minutes. Turn off the heat and pour the solution into a glass. Drink this juice while it is in lukewarm temperature. Repeat this remedy 2 times in a day to clear the sinus infection quickly. This process acts as DIY garlic decongestant for unclogging the sinus cavities and thin down the mucus. It helps you breath comfortably. Add 4 – 6 garlic cloves in 1/2 cup of water. Let it soak for 7 – 10 minutes and strain. Crush the garlic cloves into a smooth paste. Keep the paste close your nose and take a deep breathe. Exhale and repeat the process few times. Continue the process regularly to treat the sinus infection. Honey contains antimicrobial and decongestant properties which ensure relief from the congestion and other discomforts caused by sinus infection. Using a mortar and pestle, blend 3 – 5 garlic cloves. Mix well and add 1 – 2 teaspoons of honey into it. Consume the mixture before meals. Repeat the process regularly until sinus infection clears. The combination of these three ingredients help to provide relief from the sinus infection and other respiratory problems like cold and flu. Crush 3 – 4 garlic cloves into a paste. Let it rest for 15 minutes which activates the allicin enzyme. Add some honey and olive oil into it and mix well. Spread the mixture on either bread or cracker and consume it. Repeat the process regularly to get rid of sinus infection. If you want to prevent the infection from spreading and reduce the postnasal drip then you can follow this process. Peel and crush 2 garlic cloves into a paste. Add few drops of olive oil and a pinch of sea salt into it. Mix well and consume it to get relief from sinus infection. Repeat the remedy regularly to speed up the healing process of sinus infection. Using garlic juice in your daily diet helps to strengthen the immune system which in turns prevents the sinus infection. Apart from that, it is also helpful to treat other respiratory problems like bronchitis, tuberculosis and others. Instead of buying garlic juice from the stores, it can be made at the comfort of the home. You can either use fresh garlic cloves or roasted garlic cloves for this process. Peel garlic cloves. Remember we need as many garlic cloves as we can. It takes hundreds of garlic cloves to make an ounce of garlic juice. Using a garlic press or food processor, blend the peeled garlic cloves to make a puree. Now, strain the garlic puree using a muslin cloth. Press a spatula on the pulp to extract maximum amount of juice. Now transfer the juice into an airtight glass container and store it in a refrigerator. Add 1/2 teaspoon of garlic juice to your salads and dishes for flavor and health benefits. This garlic infused water helps to get relief from headache, stuffy nose and other discomforts caused by sinus infection. Peel and mince few garlic cloves. Add it 2 quarts of water and mix well. Bring the mixture to boil and simmer for an hour without disturbing it. Later, strain the water into glass. Sip the solution slowly before the meals. Repeat the process regularly to prevent and treat sinus infection. Garlic oil contains all the benefits of fresh garlic in potent form. If you are wondering how to get over a sinus infection, then this is most trusted remedy. Into a saucepan, add 1 cup of extra virgin olive oil and 2 – 3 tablespoons of minced garlic. Place it on the stove and heat it over medium low heat. Let it simmer for few minutes and turn off the flame. Let the oil cool down for few minutes. Strain the oil and store it an airtight container. Apply enough amounts of it around the nose, forehead, chest, and neck. Repeat the application daily to clear the blocked sinus cavities. Do you love dip recipes? Here is an amazing recipe you can try to include in your daily diet which is delicious and also helps to deal with sinus infection. Mince with garlic cloves and add it to mashed avocado pulp. Mix well and serve it with garlic bread. Use this recipe whenever required. Apple cider vinegar contains vitamins, minerals, potassium and magnesium which help to clear sinus cavities. It also balances the pH levels which break up the mucus and clear airways. Boil 2 cups of water and remove from the flame. Add 4 crushed garlic cloves and 1 teaspoon of apple cider vinegar into it. Mix well and inhale the steam. This process helps to clear the congestion, reduces the inflammation and thins down the mucus. Extract juice of 1 garlic and add it into a cup of boiled water. Add a small pinch of salt and let it rest aside until it cools down to lukewarm. Now, pour the infused water into neti pot. Tilt your heat, using the neti pot, pour the solution into one nostril. Let the solution come through another nostril. Repeat the same with other nostril as well. Follow this process whenever required. Consuming raw garlic helps to boost the immune system which helps to treat and prevent the sinus infection. Mince the garlic and add them to butter or mayonnaise. Spread it on the bread and have this. For those, who cannot tolerate the strong pungent smell of garlic, then they can try garlic supplements. It helps to alleviate the sinusitis, respiratory ailments and cardiovascular problems. But make sure to buy good garlic supplements from a trusted brand. The suggested dosage of garlic pills is 2 capsules per day after having meals until the sinus clears. However, this dosage may vary depending on the medical history of the individual. So, we recommend consulting a doctor for confirming the right dosage. Sinus infection can also occur in children. However they are less prone than adults. Headache, pain around the eyes, trouble breathing, cough and cold are few symptoms faced by children while suffering from sinusitis. If left untreated it can result in many health problems. Garlic is also helpful to treat sinus infection in children. You can include garlic in their daily diet. Apart from that, follow the below process to get relief from the symptoms quickly. Into a large bowl of hot water, add 1 crushed garlic clove, few drops each of tea tree oil and eucalyptus oil. Stir well and let your child inhale the steam coming from it. Let them inhale for few minutes and relax. Repeat the process regularly, especially before going to bed for an undisturbed sleep. Note: Make sure they are not close enough to the water as it can cause burns and other discomforts. Make sure they don’t put more pressure while inhaling as it can cause damage to nasal passages. Consult a doctor before giving raw garlic to children to avoid any discomforts. Include garlic in your diet to improve the mucus flow within the nasal passage which in turn gives relief from the sinusitis. Though raw garlic gives best results in treating the sinus infection, however you can also use garlic powder, paste, or garlic juice if it is not available. If you are allergic to garlic then stop using it and try a different ingredient like apple cider vinegar. Avoid over consumption of garlic to prevent some side effects like burning sensation, bad breath, allergic reaction, skin rash, breathing problems, internal bleeding, stomach or intestinal problems, etc. It is better to consult you herbalist to know the recommended dosage as per your health condition. If the remedies are providing any relief from the discomforts, then consult a doctor as soon as possible. Avoid taking caffeinated drink as it can lead dehydration – one of reasons for triggering sinus infection. If you are taking blood thinning medicines or under any medication then consult a doctor to find whether you can consume garlic or not as it can interact with few medications. Stay away from dairy products as it can increase the mucus secretion. Drink plenty of water and herbal teas to thin down the mucus consistency. Take rest to support speedy recovery. We hope the article has provided the information you have been looking for to deal with sinus infection. If you have concerns or suggestions, then write to us in the comment section below. 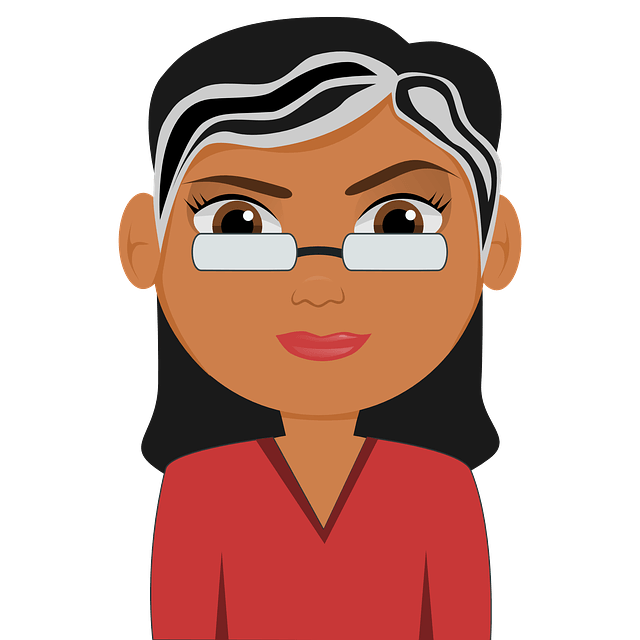 Don’t forget to share your experience as it can help others. I’m assuming all the ways to use garlic is because you needed a longer article. The best, and most effective way to use garlic for any type of infection, bacterial or viral is to: 1. Press 2-3 cloves in a garlic press into a dry, empty glass. 2. Set a timer for 12 minutes. 3. At the end of the 12 minutes put 4 oz of water over the garlic, mix it up and drink it. 4. Follow with another 4 ounces of water. 5. I usually eat 1/2 cup of yogurt to help keep the garlic from burning my stomach lining. Some people drink a cup of milk instead of yogurt. That’s all you ever need when using garlic as an antiviral or antibacterial. It take about 12 minutes for the allicin to form once the garlic is pressed. The allicin is what makes it work and it will work quickly. If you’ve got a cold or flu, do this 4 X a day and you will be well very soon. I enjoyed reading your #long article and how you presented more than one way to use garlic for healing. Thank you. That was very considerate of you. One way may not work for all. I applied the garlic juice over my nasal and sinus affected areas. It stings a little however my issues cleared up quick. I ate the mashed the garlic as well. All is good after that. I enjoyed reading your article, & giving us alternative ways to take garlic for sinus infection. I put some in food, but to take it by itself is something I don’t wish to do as the taste & heavy order is unpleasant to myself. Thank you for your insight. How long (how many days) should one expect to medicate with garlic to eliminate a sinus infection?